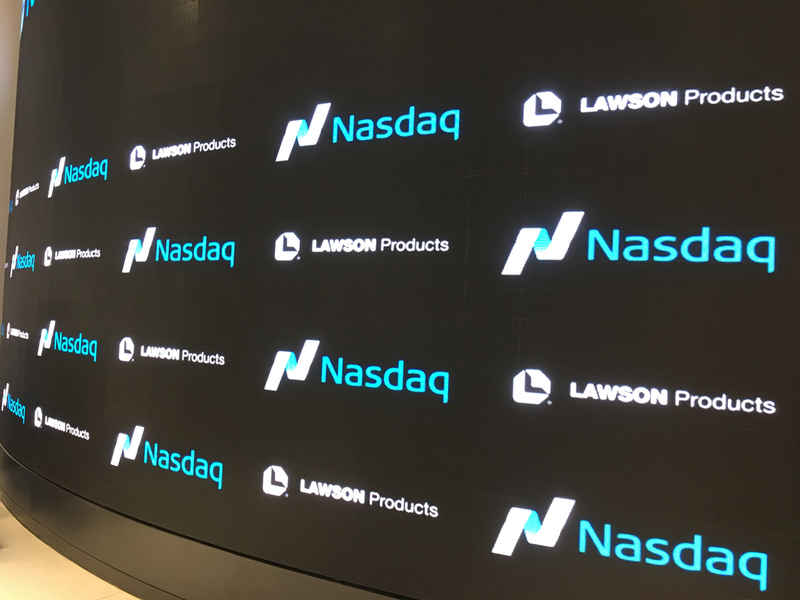 Due to Lawson Products, Inc. 65 year anniversary the company was selected to participate in the Nasdaq bell ringing ceremony. 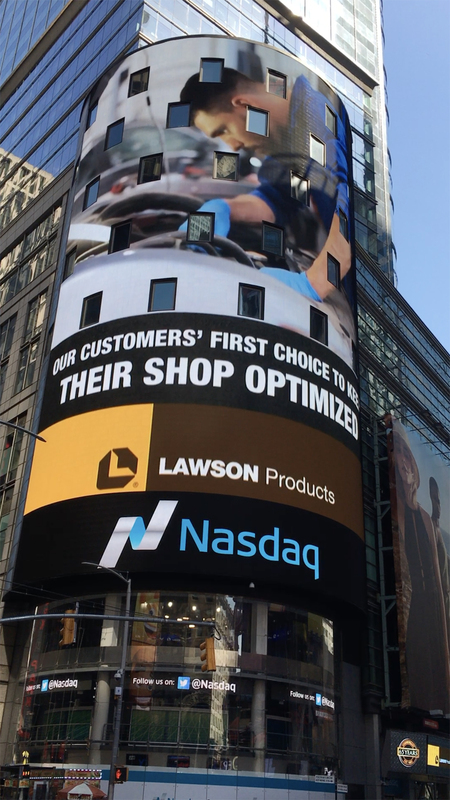 As part of the preparation for this event, I provided graphics and gave creative direction on the videos that were shown on the seven story tall screens on the facade of Nasdaq tower in downtown New York city. 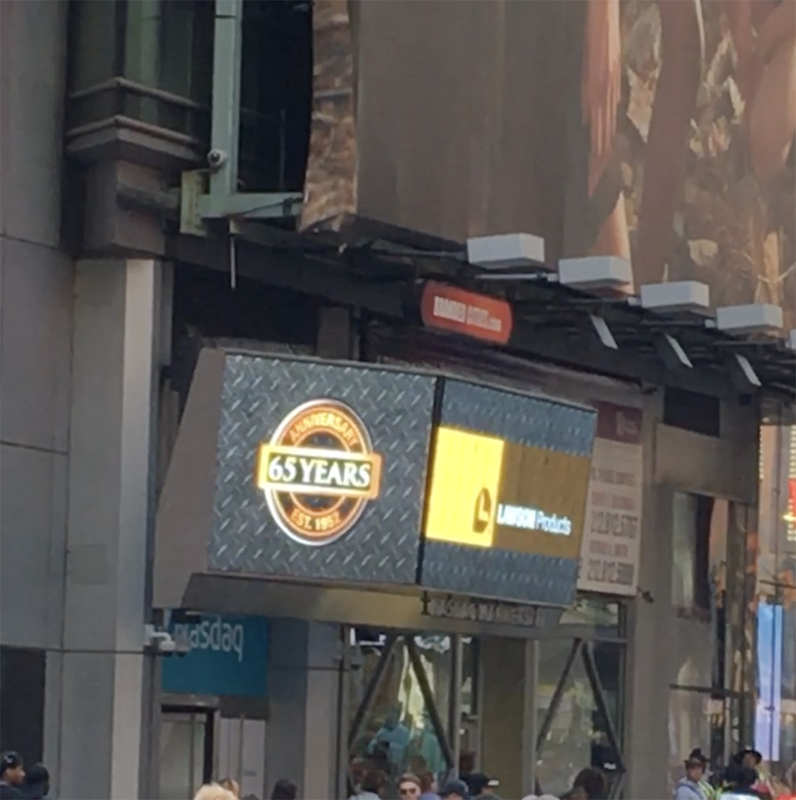 There was also a smaller marquee video that was down at street level. 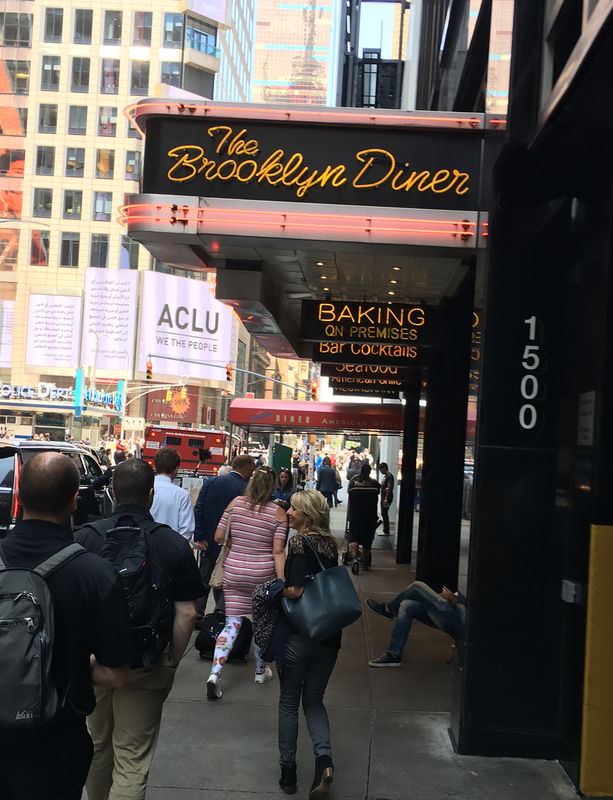 I was honored to be invited to participate in this event in New York and flew there for the day with the company’s leadership team and select employees. 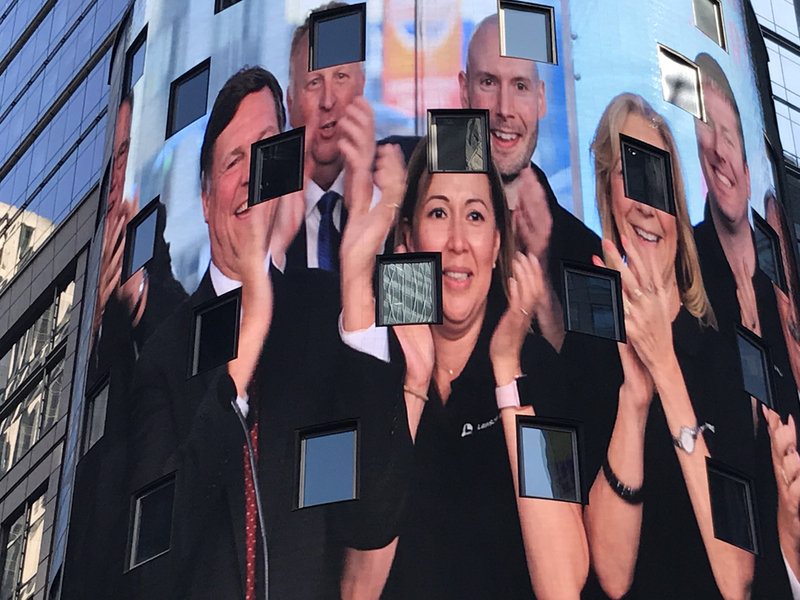 It was an exciting day and surreal experience to see the 65 year graphics I designed, and myself, up on the huge screen and broadcast live during the event. I was humbled to stand with my co-workers and acknowledge the company’s history and continued impact. The videos that I gave branding and creative direction on were produced by a company named Image Base www.image-base.com. 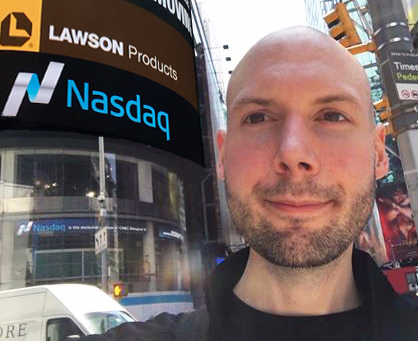 Selfie outside Nasdaq tower in Time Square New York, the video I helped design displaying on the building.